The Town Forest is a special place! 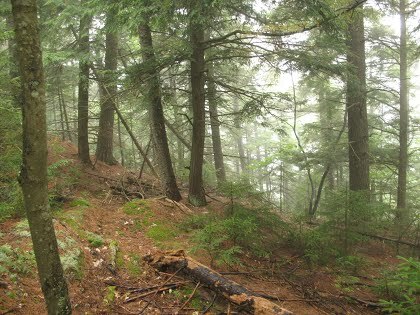 Aside from being a beautiful, largely untouched piece of wildlife habitat, the forest sits atop the ridgeline of the Worcester range with the 2,257-foot peak of Chase Mountain at its northern end. It’s one of the last pieces of the ridgeline to be conserved, opening the possibility of a hiking trail that would run across the entire range, from Elmore State Park to the Town Forest. So how do we take care of the Town Forest? A Management Plan was prepared by the Middlesex Town Forest Planning Committee — A subcommittee of the Conservation Commission — to be used as a guiding document to help Middlesex steward its Town Forest for perpetuity. The Town of Middlesex recognizes that forests are an essential component of Vermont’s healthy ecosystems and healthy communities. The Town Forest will be managed in a manner that promotes the health of both, and that encourages all members of our community to learn about, enjoy, and gather in our Town Forest. This Plan’s primary objective is to balance human uses of the Town Forest with protection of its natural resources, according to the legal requirements of the Property’s Conservation Easement and the desires of all Town residents. guidelines for developing allowed recreational and educational uses.